Ahoy mateys! It be the best day of the year once again! Happy talk like a pirate day! 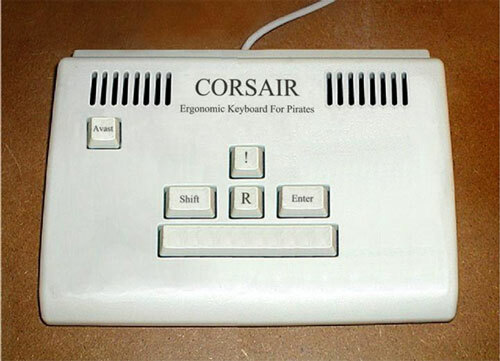 It’s too late to get your ergonomic pirate keyboard, but add plenty of R’s into your day anyway. The image is from the Language Log, who weren’t sure who to credit it to. They had a little post about the linguistics of Arrr a few years back. O’course, I highly recommend the Official Talk Like a Pirate Day website for all your piratey needs!